"Last Train Out" Reviewed by RadioIndy.com! 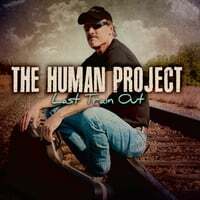 The Human Project, also known as Loyd Vandergriff, releases another smoking hot Blues/Rock album, “Last Train Out.” These finely crafted songs are jam packed with awesome Blues mixed with excellent Southern/Classic Rock. The opener, “Friday Thang,” has a top tapping beat and is sure to be a crowd pleaser as it has some fun loving lyrics. You will like how Vandergriff incorporates accordion and fiddle on the song, “River Rock,” to give it a Cajun/Zydeco feel and is another song that has a free spirited/party like intonation. Hold on to your seats as the blazing song, “Juke Joint Showdown,” blisters with edgy vocals and searing guitar. Bob Seger or Tom Petty fans will find the powerful Blues/Rock album, “Last Train Out,” thoroughly enjoyable and would definitely be a great addition to your Blues/Rock collection. Blues Rock, Southern Rock, Classic Rock = Human rock. Foot pattin, finger poppin good time. New CD Released..Last Train Out. The Human has been in the studio working on 3 new songs. These should be ready by November 1, 2009. He has enough new material for a flow blown CD, but will wait until after the first of the year to get back working on the rest of the tunes. He would like to release a single to let people know he is "still around," and this will happen soon. So, be on the lookout....for the new........Human Project Single. All tunes of course written by Loyd...The Human...Vandergriff. 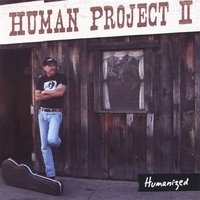 "Humanized" by The Human Project II is a collection of pumping, catchy southern rock songs. This album rocks the whole way through with driving rhythms, punchy beats and crunchy guitars. The songs are about everything from booze to cars to payin' taxes. The lyrics are creative and well delivered. The sound is raw and very "Live." Highlights are "The Creepers," a slow blues jam with haunting lyrics. This is the only track with a slower pace. "My V8 Ford" will rock you out of your rocker with driving drums and a Rockabilly vibe. "High Anxiety" takes you back to the swampland and delivers a message that will strike a chord with many listeners in regards to skippin' town. If you like good ol' rock and roll you'll enjoy this one. The Human has been writing again, and now has 7 songs completed. He has been recording in his home studio and is compiling this work under what he is calling..........."Homegrown." Is another studio session in the future. Maybe. For now....the home studio is workin. I have just joined this site and put up some new songs. It is a pleasure to be here. Hope to meet some good friends.